We absolutely love New Orleans. At first glance, it may not seem family friendly, but I am here to say how wrong that is. New Orleans is very kid friendly. We have visited New Orleans with infants, toddlers and little kids and we have always found so much to do. New Orleans needs to be on your list. I’ve compiled all of our favorite kid friendly New Orleans spots; from food to Airbnbs. Cafe Beignet (Breakfast, Brunch or Snacks) - I personally prefer the Beignets from Cafe Beignet over others. I specifically love the location on Royal Street in the French Quarter. Cafe Du Monde (Breakfast, Brunch or Snacks) - A New Orleans classic. If you’ve never been to NOLA before, definitely stop in the original Du Monde at Jackson Square. 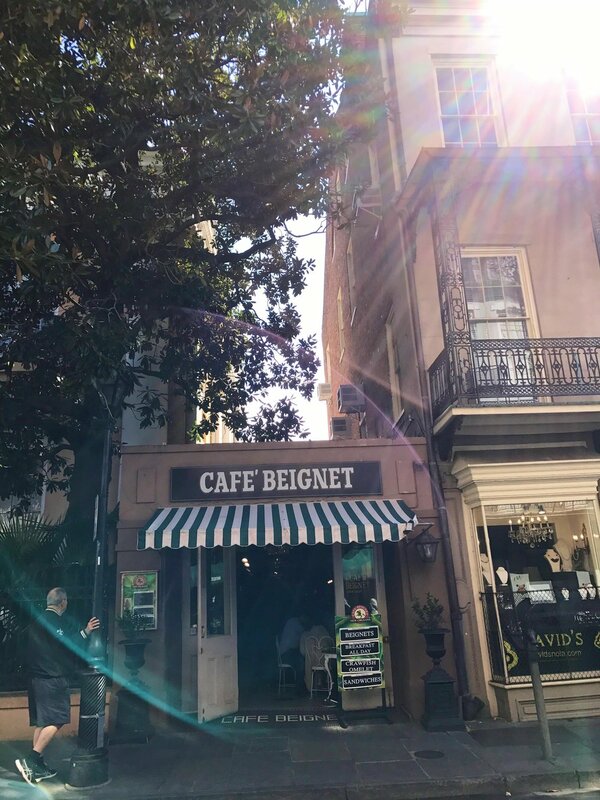 New Orleans Coffee & Beignet Co - If you’re taking the St Charles street car, stop in to enjoy few New Orleans favorites; Cafe Au Lait, Beignets and mini Beignets for the kids. Cafe Amelie- I haven’t had chance to eat here yet, but I’ve heard its amazing and it’s at the top of my list. We walked through their courtyard and everything looks delicious. The courtyard itself is a reason to eat there! The staff allowed us to use their very clean bathroom when my toddler had to pee, so I rate this place a very kid friendly. The Ruby Slipper (Breakfast, Brunch or Lunch) - This kid friendly stop is very popular, so get there early and be sure to join their wait list through the Yelp! app! Don’t miss their award winning bloody mary or the absolutely delicious Eggs Cochon! The Saint - This hotel is located on Canal street, but they offer a killer brunch buffet. We were impressed with a selection of shrimp and grits, bisquits and gravy, fresh pastries, yogurt parfait, and more gourmet selections like smoked scottish salmon. For $20 an adult and only $10 per kid, you will be hard pressed to find a selection like this for that price point in New Orleans. Everyone enjoying these giant beignets at Cafe Beignet! High Hat Cafe (Dinner) - This is my favorite restaurant in New Orleans. I try to eat here on every single visit. Don’t miss the Boudin Balls or Shrimp Creole. This is a kid friendly dining spot in New Orleans..
Wayfare (Dinner) - This kid friendly New Orleans Restaurant is located on Freret Street. From delicious cocktails to yummy tapas, you can’t go wrong here. Try the Pork Belly Gnocci, Wayfare Pomme Frites & Bacon Mac n Cheese! Blue Oak BBQ (Lunch or Dinner)- After a day at City Park, head to this kid friendly BBQ joint. With outdoor seating, the kids can roam while the food is being ordered. Definitely try the roasted garlic mac-n-cheese, BBQ Nachos or load up with a combo meat plate! NOLA Restaraunt - One of the 4 Emeril Lagasse restaurants in New Orleans and it is amazing. From perfectly concocted cocktails to extremely attentive wait staff to absolutely divine meals, you can not go wrong here. Try the Alligator Sausage Bao to start and the Steak Frites for dinner. I recommend making reservations and this spot is not as kid friendly as other options. GW Fins (Dinner) - This is fancier restraunt located off of Bourbon Street. The menu here changes daily as they don’t get their freshly caught seafood until 4pm. They have amazing cocktails & everything we’ve eaten there was amazing. I reccomend reservations. Sucre -New Orleans is heavily influenced by French culture which is why I needed to go to Sucre. This pastry shop is famous for is macaroons and they live up to the expectation! There are two locations; French Quarter & the Garden District. Don't forget! You get $40 off your first Airbnb Stay by using our link! Click HERE! Can't go to the zoo and not eat some famous roman candy! Audubon Zoo﻿ - See our full write up on our adventure at the Audubon Zoo HERE. It is highly recommended. Audubon Aquarium - It is SO convenient to downtown and very easily walkable from the French Quarter. ! We have a blog on our time at the Aquarium HERE. If you have children or a rainy day, definitely make this a stop on your New Orleans tour! St. Louis Cathedral This is the famous Cathedral located in Jackson Square. You can do a self-guided tour here. The church suggests a donation for the visit and you can drop a couple bucks in the bin at the door. Be sure to look up! Ride A Street Car - I highly recommend taking the kids on a NOLA street car. Try to catch the car where St. Charles Ave meets S Claiborne Ave and ride it towards Canal. You can see the full route of service HERE. If you board at the starting point, you may have the entire cable car to yourself like we did! If you catch the street car on Canal it will be very crowded due to the heavily trafficked French Quarter. The New Orleans street cars are family and kid friendly. Cemetery Tour - We did a self guided tour of Lafayette Cemetery No. 1. New Orlean’s above ground cemeteries are an integral part of it’s rich history. It was a gorgeous place and I loved moving around at my own pace. You can hire a guide if you’d like to know more specific details about the history. To get there, head to the Garden District. City Park - City Park is an enormous 1,300 acre park located in Northern New Orleans, making it 50% larger than Central Park in New York City! You will find amazing playgrounds, green space, lakes, & amusement parks here. There is ample free parking too. If you’re looking for the best park in New Orleans, this is it. Rent paddle boats, paddle boards, bikes or even ride the park’s train! Jean Lafitte National Historic Park - Located in the French Quarter, there is a small museum, clean bathrooms and a fantastic quiet courtyard directly on Decatur street. If you have a National Park Kids Passport (Get yours HERE), be sure to get it stamped!! They have stamps at the museum desk. Boutique Du Vampyre - This is not a kid friendly stop, but a must see. Take turns popping in! This shop is one of only 3 Vampire stores in the world. Yes. This is where Vampires shop. We didn't buy anything, but we were thoroughly entertained and impressed at the collection of Vampire supplies. There are public parking lots all over New Orleans. Download the Parking Premium app. In the French Quarter, we have used two different parking areas. The first is Public Parking 401 located on Decatur street. I liked this spot and it’s proximity to the Mississippi River & Jackson Square. I also loved that I could go back to my car at any time. The second spot we’ve used is P145 located on Iberville St. This lot is a valet parking garage. Keep this in mind because you will not be able to pop back into your car without asking an attendant for help. A fair warning: It's expensive to park in New Orleans. When we paid on site, we paid $18 then went back and added time & another $22. So, $40 total for parking. When I paid in advance with the app, I paid $25 for 12 hours. You pay for the convenience for sure. If you are road tripping to New Orleans, be sure to check out all of our tips on road trips with kids! Let us know what your favorite go-to restaurant, Airbnb or place to visit in New Orleans is! 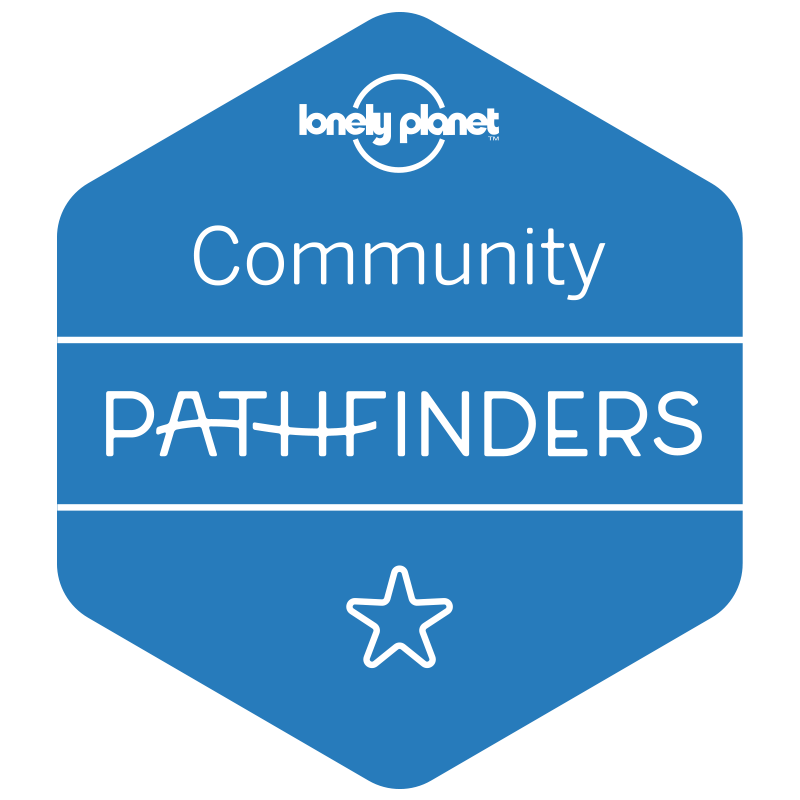 Don’t forget to check out our other guides on other cities of the south! Click below! Get Ready for your trip to New Orleans!